7 Hills Lock & Key, Inc. has provided a complete breadth of locksmith services to automotive, commercial and residential customers throughout the Lynchburg, VA area since 1995. Call us for lockouts, key duplications, rekeying, lock installations, access control service and much, much more. If it involves a lock and key, we’re the experts to call! Our mobile locksmith abilities extend to automotive, commercial and residential customers, spanning all types of lock and key needs. 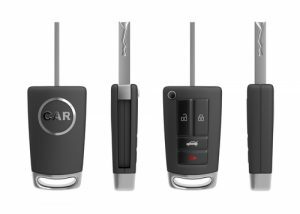 Unlike many other locksmith services, we’re able to cut and program smart vehicle keys and transponder keys. Need emergency services? We’re ready to swing into action 24-hours a day. Let us come to your aid when you need us most. We’re fully licensed, bonded and insured (DCJS ID 99220750), giving you peace of mind in working with a reputable company during your lockout situations. We pride ourselves on being prompt and dependable. When you call us, rest assured we’re on our way and will get to you as quickly as we can. Being locked out or having a damaged lock that doesn’t keep you safe are problems that need immediate solutions. If you find yourself dealing with a frustrating situation like this, it’s best to call 7 Hills Lock & Key, Inc. right away. As your full-service mobile locksmith in Lynchburg, VA, we’ll come to you night or day to solve the problem quickly and efficiently. 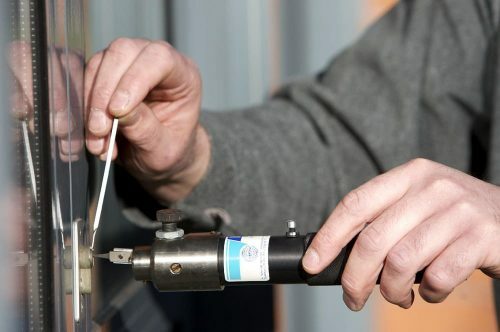 From opening locked doors and duplicating keys, to new lock installations and rekeying, to automotive locksmith services and much, much more, there’s not much we can’t do when it comes to locks and keys. From the simplest deadbolt to the most complex access control system, count on us to deliver dependable services. What sets us apart from your run-of-the-mill locksmith in Lynchburg, VA is our ability to understand your unique situation and provide the right service to resolve it. From duplicating your specialized transponder car key, to repairing your vehicle’s ignition system, to helping you choose and install high security locks for your business, we always have your best interests at heart. At the first sign of trouble with your locks, give us a call and get the help you need to avoid frustrations and headaches. We promise we’ll get you back on the right side of the locked door and make sure all of your security installations are working properly. 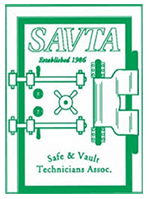 we’ll make sure you get quick, reliable service from an expert, qualified professional. Contact us today. September 18, 2018 Meredith M.
"Highly recommend 7 Hills!! Having worked with them multiple times, personally and professionally - their services has been nothing short of amazing! Quick to answer, quick to respond. And super friendly - they have never disappointed!" August 30, 2018 Vanessa D.
"The key broke off my key fob to my car and I lost it. 7 hills was able to come out make me a new key without the old one. It was a great experience"
August 17, 2018 Danielle N.
"Just had them come and replace a key for my 2006 mustang, they were quick, friendly and said I could call them back if there are any problems. Overall great experience. Thank you 7 hills for giving us our mustang back! :)"
"This company is amazing! I had been quoted a much higher price here in Panama City to get a second smart key for my Toyota Prius. While visiting in Lynchburg, I met the owner while he was making a key for someone at a local drs office. He g..."
"Amazing experience! My two year old locked us out of the house and someone showed up within 20 minutes and had us back in quickly. Will definitely call again if we ever need it! Thanks!"